Harnessing the complex hydrodynamic properties of surface tension, this brilliantly re-engineered mug features a strategically engineered reservoir running around the circumference of the vessel's outer wall. Or, in other words, designer Kim Keun Ae added a groove that cleverly catches drips before they hit the table. 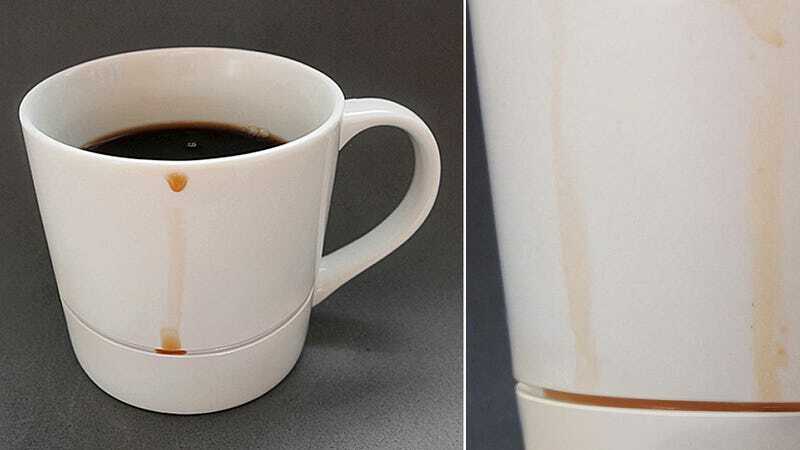 Cleaning the mug takes a little extra effort to get that groove sparkling, but otherwise it's a simple innovation that goes a long way to improving the coffee experience, particularly if you hate coasters. And while you can't buy one just yet, it won't be terribly difficult for someone to implement this simple improvement.